Home / Retirement / 401k & Investing Tips / Should Alibaba Stock Owners Fear Pinduoduo? Should Alibaba Stock Owners Fear Pinduoduo? Alibaba (NYSE:BABA) stock has done very well and is up 139% over the past two years. Alibaba has outperformed the five biggest U.S. tech stocks, even Amazon (NASDAQ:AMZN). The gains in Alibaba stock over the past few years come from its rare combination of high margins and rapid revenue growth. Much of Alibaba’s growth is due to its core business, e-commerce in China. According to Statista, annual e-commerce transactions in the country grew from RMB 1.32 trillion RMB in 2012 to RMB 7.57 trillion (over $1.1 trillion) in 2017. Alibaba dominates e-commerce in China, although it faces some competition. According to Analysys International Enfodesk, Alibaba’s Tmall boasted a 51.3% market share in business-to-consumer (B2C) e-commerce in the second quarter of 2017. Alibaba’s rival, JD.com (NASDAQ:JD), accounted for 32.9% of this market. Chinese tech giants like Alibaba are looking toward smaller cities and rural China for growth. Statistics from Alibaba rival Tencent (OTCMKTS:TCEHY) bear this out. Tencent owns WeChat, the Chinese chat app with a billion monthly active users. In 2015, 93% of people living in Tier 1 cities, such as Beijing and Shanghai, used WeChat. However, just 27% of people living in Tier 4 cities and 28% of people in Tier 5 cities were WeChat users. Alibaba also sees these areas as its next growth markets. Here, however, JD and Alibaba face competition from an upstart: Pinduoduo, an e-commerce startup that recently filed for a billion-dollar IPO, which could value the company at $30 billion. InvestorPlace contributor Will Ashworth mentioned Pinduoduo in May. By competing with Alibaba, Pinduoduo could affect Alibaba’s profits and the price of BABA stock. How will this challenger impact Alibaba stock? Pinduoduo is a group-buying app, a bit like Groupon (NASDAQ:GRPN) or Wish. Users receive deep discounts if they invite enough friends and buy items in bulk. Pinduoduo’s founder, Colin Huang, previously worked at Alphabet (NASDAQ:GOOG, NASDAQ:GOOGL). This Alibaba challenger is growing fast; founded in September 2015, Pinduoduo is not even three years old. In April 2017, it was valued at $1.5 billion. A year later, when Tencent invested in the company, it was valued at ten times that: $15 billion. Such increases may appear steep, but look at Pinduoduo’s user growth. According to Pinduoduo’s recent SEC filing, average monthly active users rose from 15 million in March 2017 to 166.2 million a year later. Pinduoduo ranks sixth in free iOS app downloads over the past week in China. A large share of Pinduoduo users live in lower tier cities. According to the research firm Jiguang, over 65% of Pinduoduo’s users live in Tier 3 and 4 cities. In contrast, just 50% of JD users live in such cities. According to the SEC filing, 1.7 billion orders were placed in the first quarter, with a transaction value of $10.6 billion. “People in the third- and fourth-tier cities, especially elderly people, can find [Alibaba platform] Taobao too complicated to use, but PDD has a much lower barrier to entry,” analyst Eric Wen told Bloomberg in April. Alibaba rival Tencent has a vested interest in Pinduoduo’s success, and Pinduoduo benefits greatly from its presence on WeChat. BABA’s platforms are banned from this app. Some of Alibaba’s moves this year can be seen as a response to this challenger. In February, BABA released a new version of its Taobao app designed for older users. This app is simplified and it comes with large print and chat functions, enabling elderly users to stay in touch with their family members and ask them for help. In March, Alibaba released a discount app to compete with Pinduoduo for budget shoppers in smaller cities and rural areas. This app, called Taobao Tejiaban, offers users special discounts. Alibaba announced in June that it was expanding its Rural Taobao program, which helps villagers get started buying and selling on Taobao. BABA wants to reach 1,000 counties and 150,000 villages in China. This would give it access to one in every four villages in the country. 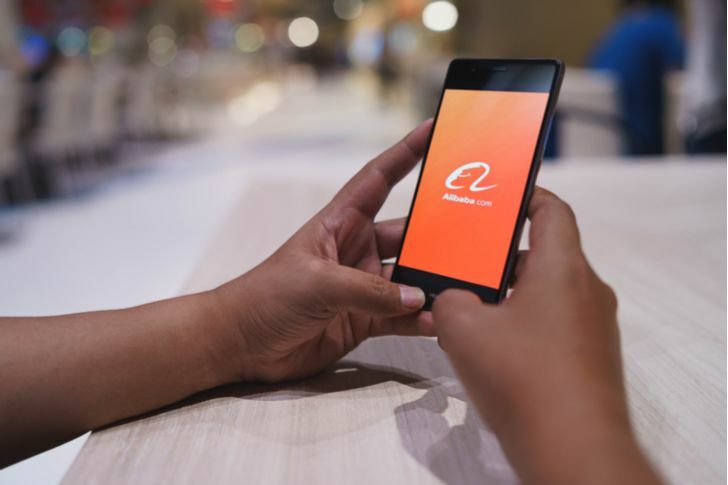 Alibaba further strengthened its position by investing $717 million in Huitongda Network, an e-commerce company that sells appliances in rural China. According to the South China Morning Post, which Alibaba owns, Huitongda has a presence in 80,000 stores in 18 provinces in China. What impact will Pinduoduo’s rise have on Alibaba stock? Alibaba appears to be responding to Pinduoduo and fighting back. This means it will probably avoid the worst possible outcome, which usually happens when companies ignore their competitors. By challenging BABA for market share in rural areas, Pinduoduo could slow Alibaba’s revenue growth and impact the stock. Pinduoduo could also impact Alibaba stock by putting pressure on its margins. However, Pinduoduo is still far from Alibaba. In terms of gross merchandise value (GMV), Alibaba still dwarfs Pinduoduo. During the twelve months ending on March 31, goods worth RMB 198.7 billion changed hands on Pinduoduo. Alibaba, on the other hand, claims RMB 4.8 trillion in transactions during fiscal 2018. Article printed from InvestorPlace Media, https://investorplace.com/2018/07/should-alibaba-stock-owners-fear-pinduoduo/.